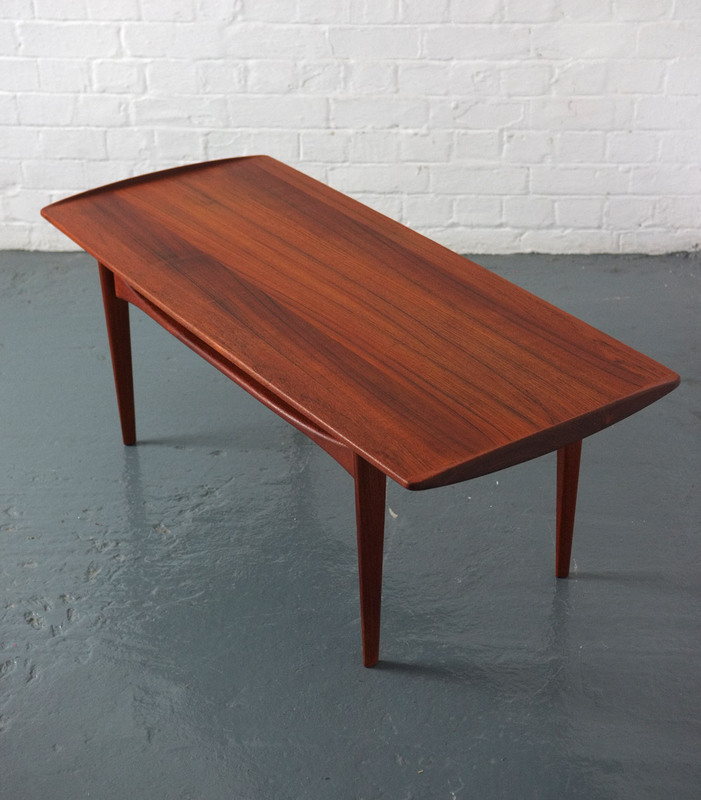 A FD 503 model table designed in 1958 by Tove and Edvard Kindt-Larsen for France and Sons, Denmark. 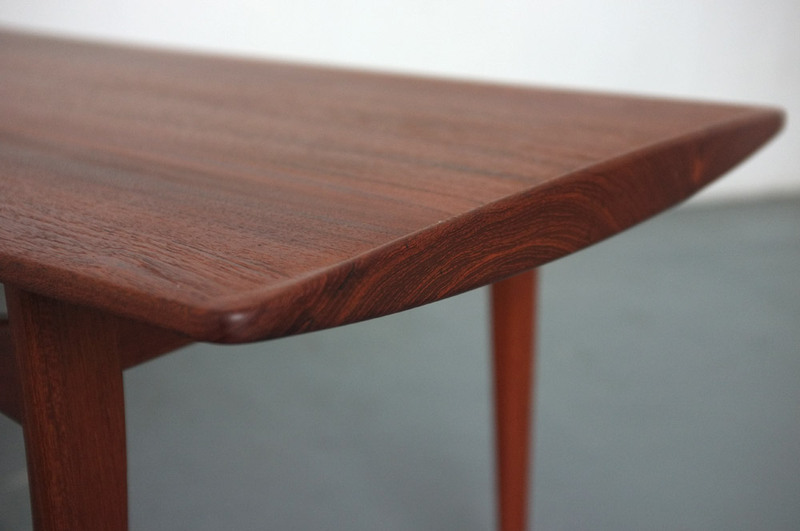 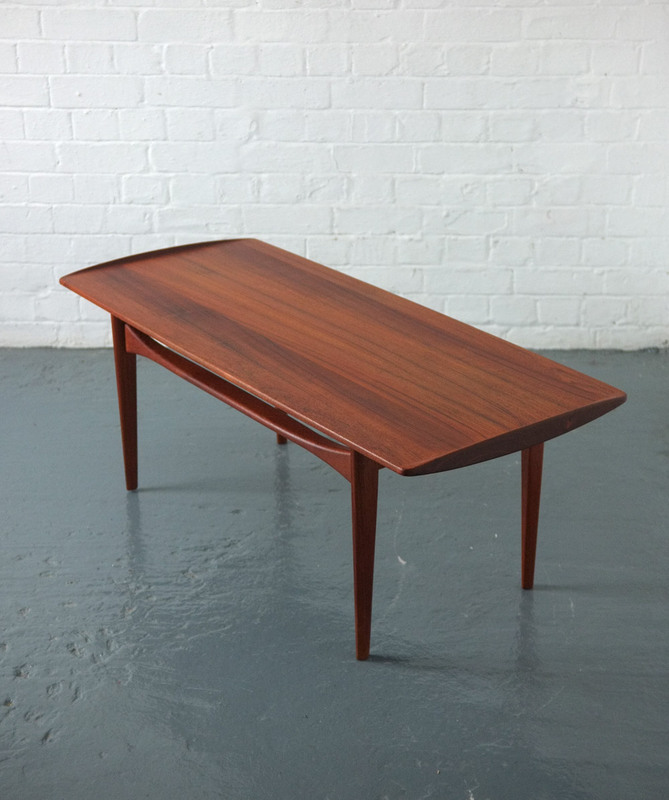 A solid teak table with beautifully curved end pieces and supports. 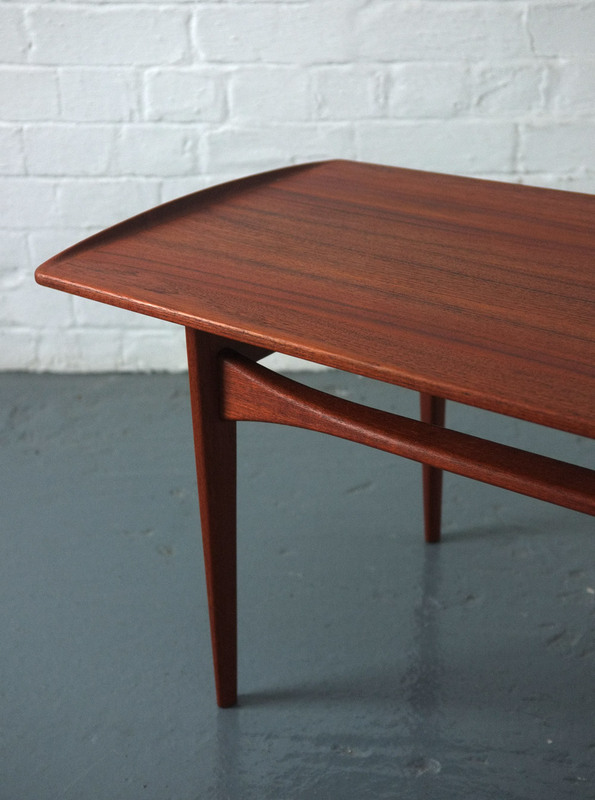 In excellent re-oiled condition. 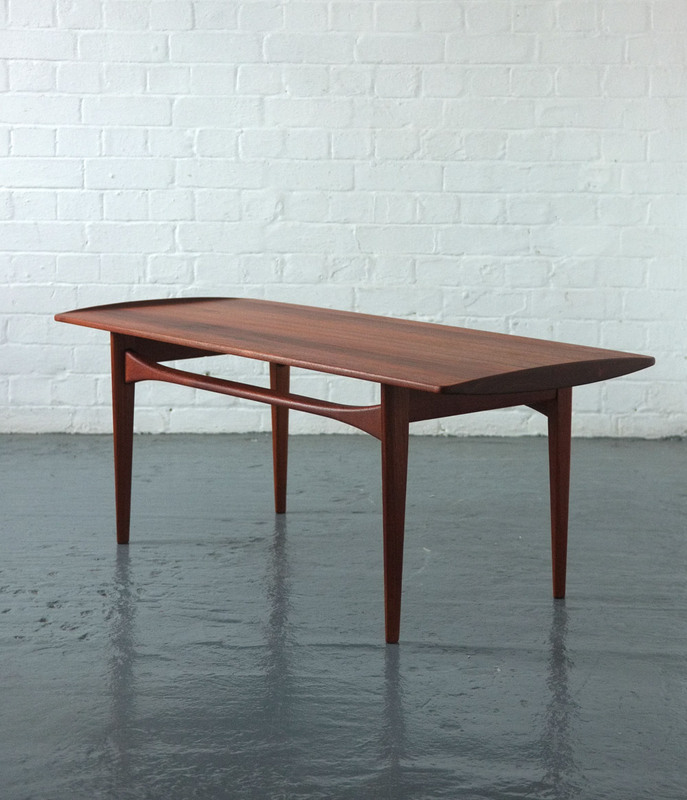 Dimensions: 120cm long x 51.5cm wide x 45cm high.